2X Inc. is a full service sports agency that you can entrust your entire professional career to. We take care of everything off the "court", so you can focus on excelling in your respective sport. 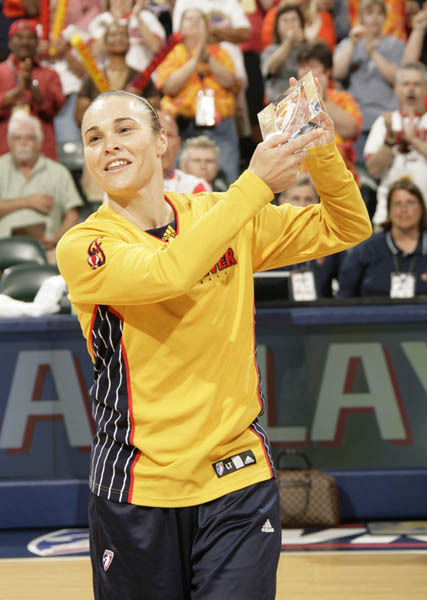 2X provides contract negotiations for the WNBA and overseas, as well as any other team sport in the US &/or worldwide. We also specialize in the solicitation of personal endorsement & sponsorship contracts. Our 15 years of experience in the business has built amazing relations in the WNBA as well as numerous partners and contacts overseas. This will allow you to receive the best job and contract possible. We also have numerous contacts in the business world that can translate into professional endorsements. The commitment doesn't stop there, however, as 2X will be there every step of the way assuring that you have the contract follow thru, support and full-time accessibility that you deserve & expect. **Jeanne McNulty-King, president of 2X, is a FIBA & WNBA Licensed international agent. We have worked with several top companies in endorsing and promoting our athletes. We have numerous shoe and apparel deals, personal appearances, card signings, speaking engagements, real estate deals, banking, etc. Eric Dailey of Dailey Training in Florida. 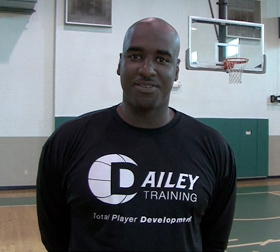 Dailey Training L.L.C was founded in 1997 by Eric Dailey, a 10 year International Professional Basketball Player. During those 10 years, he played on major teams in Europe, Asia, and South America. As a result of his rich experiences as a professional player, both the athletic and business sides of the game were learned at the highest level. While playing from 1994 - 2003 as a pro, many mistakes were made as well as successes and through these experiences Dailey Training was born. Basketball has given Tully many opportunities she never would have even dreamed of being from a small country town in Western Australia. Earning an Olympic Silver Medal, a World Championship ring, a WNBA Championship ring and being named five times to the WNBA All-Defensive Team are all accomplishments she is very proud to have to her name. While it is difficult to put a weight on successes, there is one award that she truly feel personifies her as a person – it is the Kim Perrot Sportsmanship Award. She received this award in 2007 and believes all athletes should compete with integrity and fair play, on and off the court. With the success she has enjoyed, it allows her to continue to reach out and create awareness of all of the wonderful things that can happen to a person in sports if you continue to work hard and believe in your dreams. Tully is spending her WNBA off-season back in Indiana running Gym41, a personal training and fitness studio. Through bootcamps, personal training or small group training you will find what bringing the fun back into fitness can do for you! She will also be running semi-private basketball lessons. For more information about her gym check out www.gym41.com. For more information about semi-private lessons check out the CAMPS page. John Lucas, former NBA superstar (1976-1990) and now, among many other ventures, trains professional athletes. 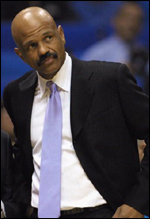 He is the [coach lucas] President of John Lucas Enterprises, he has coached the San Antonio Spurs, been the Coach, VP and General Manager of the Philadelphia 76ers, head coach of the Cavaliers, asst coach for the Nuggets and most recently asst coach for the Clippers (2009-10). Currently John Lucas resides in Houston, Texas. He is regarded as one of the world's best resources for basketball training and development. His camps and clinics have built a reputation for being among the best organized and professional events. Image is everything in marketing. 2X will help you build your image and name thereby maximizing your earning potential. We have access to all the professional services you will need from tax preparation to financial planning, home buying to legal needs. Anything you need, we will be there as much or as little as you desire!